Image: J. Hester & P. Scowen, STScI, ESA, NASA. 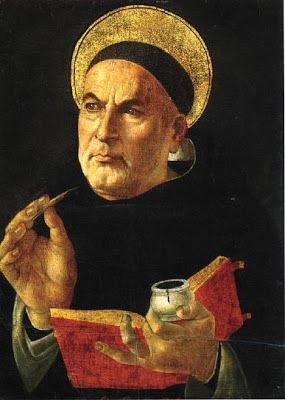 Last term, a fellow Jesuit scholastic and I were privileged to do a reading course on the metaphysics of St. Thomas Aquinas with our programme director, reading chiefly from the First Part of the magnificent Summa Theologiae. I expected the material to be intellectually stimulating, but an unexpected pleasure were the many spiritual insights that we received. Here are the “greatest hits” from the course. 5. God works for the common good. God’s will is that all creation together show forth his glory and his goodness. Individual beings in creation cannot find their full meaning in themselves, but only insofar as they are part of the whole. This partly explains why evil is allowed to exist: a universe that shows God’s glory most fully must include things having all grades of perfection. Technically, this is called “the principle of plenitude”. Since no created thing can even approach his own perfection and splendour, God created many things, each showing his goodness in its own way, whether great and humble. And because all creatures have some degree of imperfection, evil will inevitably arise—though only to usher in a far greater good, because taken all together, creation is (and is becoming) more complete reflection of God's glory. That is why, even in a world of suffering, we can say with Julian of Norwich, “All shall be well, and all shall be well, and all manner of things shall be well,” and speak truly. These words only make sense if we reject individualism, the deception that tells us that the greatest good comes from individual fulfilment. Rather, each person will find fulfilment in this universe by living for the common good, which is to God’s glory. (See: ST Ia, Q. 47 & Q. 49). Thank you for sharing. Your article is thought-provoking and food for prayer. I really enjoyed this post, especially since I am too daunted to actually pick up the summa. 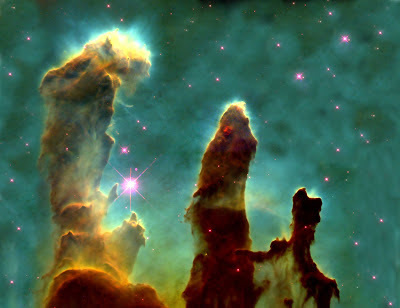 Also, nice nebula. I recognized the photo, since I have now read every children's book that our local library has to offer. This is all due to my son, who is named after.... St. Thomas Acquinas. Coincidence? Hmmm.